Sanofi is facing competition for its big-selling long-acting insulin Lantus in Europe, after the Commission approved a biosimilar rival developed by Eli Lilly and Boehringer Ingelheim. The approval of Abasria (insulin glargine) marks the first time that the EU's biosimilar approvals pathway has been used for an insulin product, and poses the first direct competitive threat to Lantus, which had sales of €5.72bn ($7.4bn) last year and accounted for around 17% of Sanofi's total revenues. Abasria has been approved on the strength of data showing that Abasria has similar efficacy and safety compared to Lantus in people with type 1 and type 2 diabetes following pharmacodynamic and pharmacokinetic studies as well as phase III clinical trials. Lantus is the number-one selling insulin brand in the world in terms of both sales and units, according to PMLiVE's Top Pharma List. Europe accounted for a little over $1bn out of Lantus' total sales. Abasria - which will likely not be the final trade name for the biosimilar as the companies want to standardise the brand's name around the world - will be launched in pre-filled pen format, as well as in cartridges for reusable pen devices. 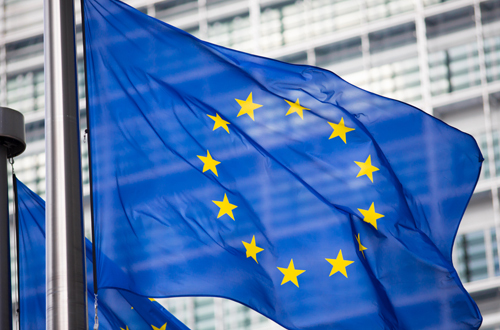 The launch date for the biosimilar remains in question however as Sanofi maintains that it has patent protection for Lantus in most of Western Europe until November 2014, with paediatric extensions to May 2015. In the US the picture is slightly different, as Sanofi filed a patent infringement lawsuit against Lilly in January after the latter filed a marketing application for its biosimilar - known in the US as Basaglar - with the FDA. Under US law, the infringement suit introduces an automatic, 30-month stay on approval of the biosimilar by the FDA unless Lilly wins a favourable decision in the courts, potentially blocking approval in Lantus' largest market until June 2016. In the meantime, Lantus and Abasria face an evolving marketplace for long-acting or basal insulins, with a number of other drugs lining up to mount an assault on the category. Novo Nordisk is already making headway with its Tresiba (insulin degludec) rival in Europe - although that product is held up in the US by an FDA request for more data - while Lilly is also building towards a filing for its insulin peglispro candidate early next year and another there is another Lantus biosimilar on the way from Merck & Co and Samsung Bioepis. Meanwhile, Sanofi has not been resting on its laurels and has already filed for approval of a Lantus follow-up called Toujeo (formerly U300) which promises an improved pharmacodynamic profile with longer, more stable and flatter blood glucose-lowering activity than Lantus and an improved side-effect profile. Credit Suisse has predicted that Lilly and Boehringer's biosimilar could become a $1.4bn product by 2020, with basal insulins continuing to dominate the diabetes market in the coming years.